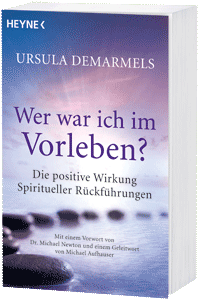 This page contains information on the books by Univ.-Prof. Dr. Gerhard W. Hacker and his wife, Ursula Demarmels, "Spiritual Regression for Peace & Healing", "Die neue Dimension der Gesundheit", "Wer war ich im Vorleben?" 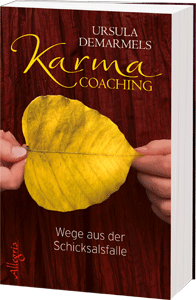 and "Karma Coaching" as well as on the CD "Licht im Spiegel", published in German language. From most of these works, editions in other languages are available. (c) LLEWELLYN Worldwide, MN, U.S.A., 2015 onw. Llewellyn Publications, Woodbury, MN, U.S.A.
Foreword: Dr. Michael NEWTON, U.S.A. 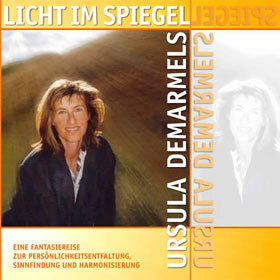 Renowned Swiss spiritual regression hypnotherapist Ursula Demarmels, CHt., lives in Austria, at the Salzburg Lake District. She studied in Basel (Switzerland) and Cologne (Germany) and is Scientific Associate for Research, teaching relaxation and hypnosis methods at the University of Salzburg (Austria). With over thirty-five years of spiritual regression practice, she has guided some 4,000 people into their past lives and their eternal life as a divine soul in the spirit world. According to some of Europe's largest TV stations, Ursula Dermarmels can be regarded as Europe's most successful expert on spiritual regression hypnotherapy and historically verifiable reincarnation. Through her regression documentary programs, she already reached more than 48 million television viewers in the German-speaking countries. Her latest TV series was produced for the German subsidiary of Discovery Channel and shown at TLC Germany. With great devotion, Ursula Demarmels dedicates her life towards the application of spiritual insights for humanitarian concerns, with the goal of a harmonious coexistence of humans, animals, and nature. Paperback, 264 Pages, ISBN-10: 0738739944; first publiation 8/2015. E-Book: 3/2016. Also available in German (publishers: SüdWest and HEYNE, RandomHouse Munich), Polish (publisher: Oficyna Wydawnicza ABA; 2008), Hungarian (publisher: Almandin; 2009), Lithuanian (publisher: Alma Littera; 2010) and Bulgarian language (publisher: Orgon; 2010). What can we really do to stay healthy? Two renowned experts in their respective fields offer answers and give suggestions and solutions for yet unexplained, but highly pertinent questions on the frontiers of biology and medicine. Main subjects discussed include nutrition, environmental toxines, electro-smog, earth's fields, ethics, psychology and spiritual health. The book also contains valuable exercises and meditations to be used in daily life and also gives examples from reincarnation therapy. 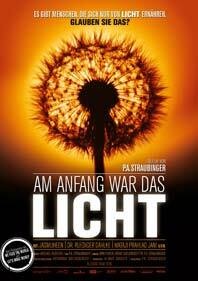 This guided imaginative journeying audio-CD is available in German language only. It was developed in joint collaboration with medical doctors and psychologists and can assist in self-finding and harmonization and lead to deep relaxation and stress relief. It can be used well for preparing the own spritual regression session. The CD was produced in digital studio quality (DDD) and professionally printed via glass master at Koch records. Words were spoken live and in trance by Ursula Demarmels. Where do we come from? Where are we going? What is the deeper sense of our life? The major questions of mankind are closely connected with our personal life. Is our destiny pre-determined, of can we change it by changing our behavior. Can we dissolve the effects of old errors by doing good deeds? What is good of bad Karma? What is my Karma? Ursula Demarmels explores these questions in detail and gives answers on topics such as karma formation, karma transformation, reincarnation and positive living, and shaping the future. In addition to in-depth explanations and karma coaching exercises, she brings fascinating and touching examples from her practice with spiritual regressions past life and the life between lives as a soul. She motivates us to use our life confidentially and full of light. Already more than 32.000 copies sold! Multiple Number One placements in Bestsellers Ranks, e.g. at Amazon-de in "Meditation & Spirituality", "Lessons & Wisdom", "Religion & Faith", "Reincarnation", "Esoterics", "Tarot & Prophecy", "Death", and "Buddhism"
The belief in reincarnation is as old as mankind. Through proven techniques of past-life regression, it is possible to remember former lives. Spiritual past-life regressions not only unlocks the doors of soul recall, but can help one release anxieties and blockages, discover more about karmic connections, obtain spiritual knowledge about the deeper sense of the present life, and find the way back to one’s true self in this present life. In this very readable book the author skilfully describes what returning to former lives really is, how she sees her own work in productive and practical ways, and how she accompanies her clients through this intuitive territory. 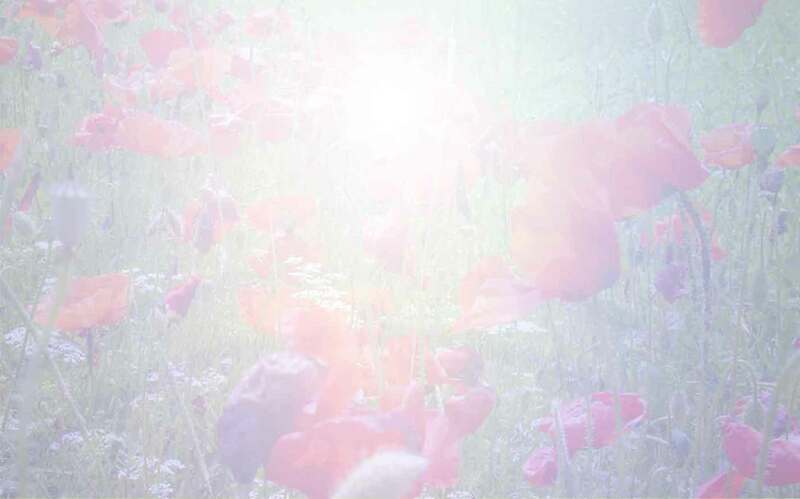 Along the way, answers to repeatedly asked questions are addressed: Can a past-life regression be dangerous or have negative effects on the present life? What happens when terrible scenes appear from one’s past life? Is a past-life regression session always successful? How to recognize a good regression facilitator?, etc. 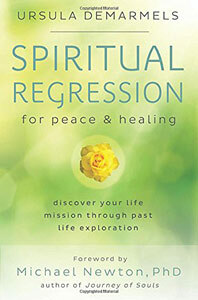 The author also invites readers into the next level of spiritual regression as practiced by the respected American hypnotherapist, Dr. Michael Newton, the best selling author who also wrote the forward of this book. She then presents her own personal methods and insights. Selected case studies from her twenty years of experience provide illustrative examples and real-life evidence for the theoretical section of the book, which creates a better understanding and interpretation of the material while presenting complementary information. The stories and lessons from her real life cases are personal, intimate and inspiring. Furthermore, her heart-warming tales of animal companions along the way make this a really unique contribution: how many believe that their beloved pet has a soul, and might meet them on the other side? This is a fascinating and adventurous journey – with various twists and turns – that the reader will certainly enjoy. Paperback, 224 Pages, ISBN-10: 3-453-70210-7, Third Edition: Feb. 2014; Price: € 16,95 (Germany). Hardcover (SüdWest, Munich), 192 Pages, ISBN-10: 3-517-08299-6. EPUB eBook: ISBN: 978-3-641-01008-9. Amazon-Kindle-eBook: ASIN: B004OL277A. Price: € 7,99 (Germany). Also available in English (publisher: Llewellyn, see above; 2015&2016), Polish (publisher: Oficyna Wydawnicza ABA; 2008), Hungarian (publisher: Almandin; 2009), Lithuanian (publisher: Alma Littera; 2010) and Bulgarian language (publisher: Orgon; 2010). CRC-Press, Boca Raton, FL, U.S.A.
State-of-the-Art-Book about the highly sensitive Immunogold-Silver-Staining (IGSS) techniques, co-developed by Prof. Hacker. Immunogold silver staining is one of the most sensitive techniques available for visualizing the location of antibodies and nucleotide probes that have been bounded to specific antigens or to nucleotide sequences. 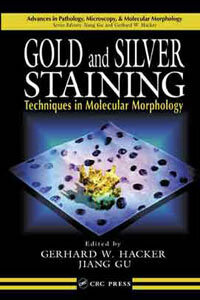 As gold and silver staining continues to advance research in molecular morphology, this book presents the information you need to know about the various staining methods, their useful applications, and the advantages and drawbacks of each process. Gold and Silver Staining: Techniques in Molecular Morphology provides a timely description of approaches, methods, protocols, and applications. The contributors cover the latest developments and a wide range of applications from highly sensitive detection of antigens to single copy detection of DNA and RNA. Some of the authors are "living legends" in the field and bring their expertise and experience to this fine collaboration. Written in one consistent style, each chapter includes a concise, but comprehensive introduction, step-by-step protocols with technical hints, and a discussion of results and critical steps. What differentiates this book from all others like it, is the status of the editors, who have worked on this technique from its inception and have produced innumerable publications on the topic. The other distinguishing feature is that all of the contributors are amongst the absolute foremost leaders from the United States and Europe. Gold and Silver Staining: Techniques in Molecular Morphology presents a complete overview and detailed descriptions of this technique that allows the visualization of molecules that have never been localized before and with hitherto unknown sensitivity. Not only does this book provide an excellent review of this field, but it also serves as a lab manual for those who want to carry out this technique in their laboratory and clinical work. Armed with this information, advances in this powerful field of research will ensue. Contributors cover the latest developments and a range of applications from highly sensitive detection of antigens to single copy detection of DNA and RNA. This book presents descriptions that allow visualization of molecules never localized before. It also provides a selection of protocols with high sensitivity; presents techniques for cytochemistry, histochemistry, in situ hybridization, and immunoblotting applications; discusses the applications to cancer research; offers suggestions, tips, and guidelines to avoid unspecific precipitations; analyzes advantages and drawbacks of staining methods. Foreword: Prof. DDr. 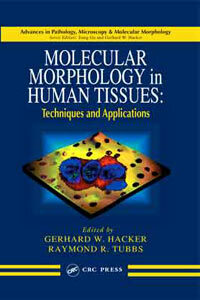 Ricardo V. Lloyd, Mayo Foundation, Rochester, Minnesota, U.S.A.
Molecular Morphology in Human Tissues: Techniques and Applications presents the most promising and modern molecular morphological techniques to date. It explores a combination of morphology techniques, computer imaging, and 3D microscopy for the enhanced visualization and localization of peptides, proteins, DNA, and RNA at the genome level in various areas of biomedical research, clinical diagnostics, diagnostic molecular pathology, and histo- and cytogenetics. The pioneers of these specialized techniques contribute step-by-step protocols with tips, guidelines, and other suggestions from their own notebooks to achieve reproducibility, standardization, and economy. This format enables experienced scientists, as well as beginners, to apply the most progressive detection methods available and to obtain optimal results. This book offers extensive coverage of detection methods such as immunostaining techniques, the use of clustered gold, the detection of HER2 gene amplification, single gene molecular detection, the "Southwest Histochemistry" method, and interphase fluorescence. Chapter 14 focuses on cost-efficient, 3D digital optical microscope technology, producing full color, 3D reproductions that allow researchers to analyze the spatial relations and abnormalities within cell structures in greater detail. 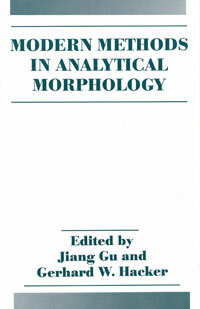 The advanced, integrated techniques presented in Molecular Morphology in Human Tissues: Techniques and Applications provide powerful analytical and diagnostic tools used in a growing collaboration between research scientists and pathologists in various areas of biomedical research, clinical diagnostics, diagnostic molecular pathology, and histo- and cytogenetics. The application of these techniques will result in more cost-efficient, precise, and reliable diagnosis and management of cancer, viral infections, and other diseases. Plenum-Press, New York, USA / Springer-Verlag New York, LLC. Aus der offiziellen Beschreibung des Buchverlags Plenum Publishers: A comprehensive review of the current trends in the field, based largely on the First International Workshop on Modern Analytical Methods in Histochemistry, held in Salzburg, Austria, September 1992. It covers an extensive array of new technical developments in major disciplines of modern morphology. The contributors are leaders in their fields.